Russian Foreign Minister Sergey Lavrov warned on Friday that a war between the U.S. and North Korea would be disastrous, and said his country was proposing -- in conjunction with China -- a path to a peaceful resolution of the nuclear standoff. The cornerstone of his plan, however, is a call for the U.S. military to call off long-scheduled joint exercises with South Korea, like the one set to begin in just a couple weeks. In exchange, the North would halt missile tests. What are U.S. non-military options to deal with North Korea? Is Trump shifting his red line on North Korea? China has floated this proposition before, after past North Korean missile launches. CBS News correspondent Ben Tracy says that China, in particular, would be happy to see the annual joint U.S.-South Korean military exercises end. As Tracy notes, both the U.S. and South Korea confirmed earlier Friday that the exercises were set to go on as scheduled at the end of August. In a statement to CBS News, Marine Lt. Col. Christopher Logan, a Pentagon spokesman, said approximately 17,500 U.S. service members would be participating in the exercise, an increase of about 3,000 from the number stationed on the Korean Peninsula. CBS News national security correspondent David Martin notes that the exercise is a "command and control exercise," which means that it's largely an exercise using computers as opposed to a field exercise. The U.S. government has long rejected the terms of what the Chinese and Russians are proposing as a "suspension for suspension" deal. 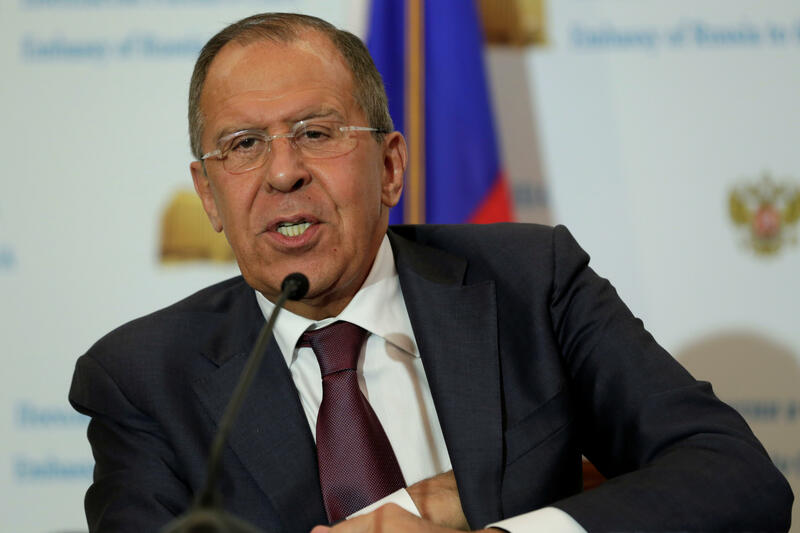 Lavrov also seemed to appeal to President Trump's sensibilities in his remarks on Friday, urging the nation "that is stronger and cleverer" to take the first step in diffusing the crisis. He warned that the costs of a military conflict between the U.S. and North Korea would be severe. As Tracy reported earlier Friday on "CBS This Morning," Mr. Trump has fanned the flames of the rhetorical battle with North Korea even as he appeals to China to solve the crisis diplomatically. On Friday, Mr. Trump tweeted that U.S. "military solutions are now fully in place, locked and loaded," to respond if North Korean leader Kim Jong Un should chose to act "unwisely." The State Department, at least, continues to stress that dialogue remains the preferred means of easing the tension with the North. The administration has put the vast majority of its diplomatic efforts toward pressuring China to rein in its wayward, and arguably unpersuadable, ally Kim. If the U.S. is still trying to convince China to take significant action against the North Korean regime, however, Tracy says the Trump administration is using more stick than carrot. On Thursday, the U.S. Navy sailed a destroyer through contested waters in the South China Sea -- just 12 miles off the shore of one of the islands China claims as its own territory. In a terse statement, China's Foreign Ministry said Friday that the sail-by "severely harmed China's sovereignty and security," and that "China is very displeased." The Chinese government made another statement Friday morning, urging the U.S. and North Korea to act with caution, and to stop taking turns showing off their military strength.